If you happened to drive past the historic house at 125 Main Road, Paarl on Wednesday October 31st, you might have seen it decked out in bunting, with various signs exhorting people to pop in. If you had stopped and come in you would have been treated wine tastings, wild dog art, and a wild discount of 20% on any wines you chose to take home. In the evening, invited guests were treated to live music, flowing wine and delicious food from Sit Café. 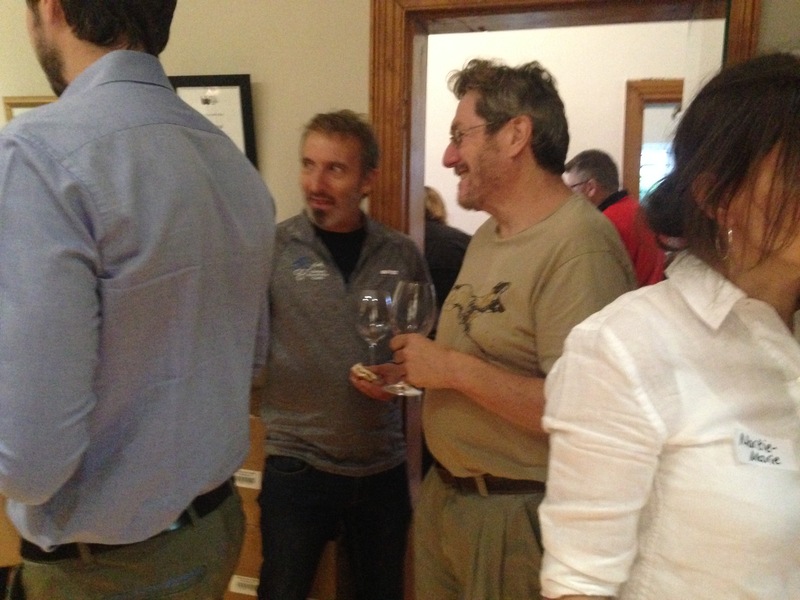 These were wine club members, suppliers, shareholders and friends of the pack. The Painted Wolf Wines pack is seriously passionate about wine and just as passionate about African wild dogs (aka Painted wolves), South Africa’s most endangered and least known carnivore. Painted Wolf Wines supports the conservation of African wild dogs and environmental education through donations from sales. Organisations supported include The Endangered Wildlife Trust, Tusk Trust and Children in the Wilderness. 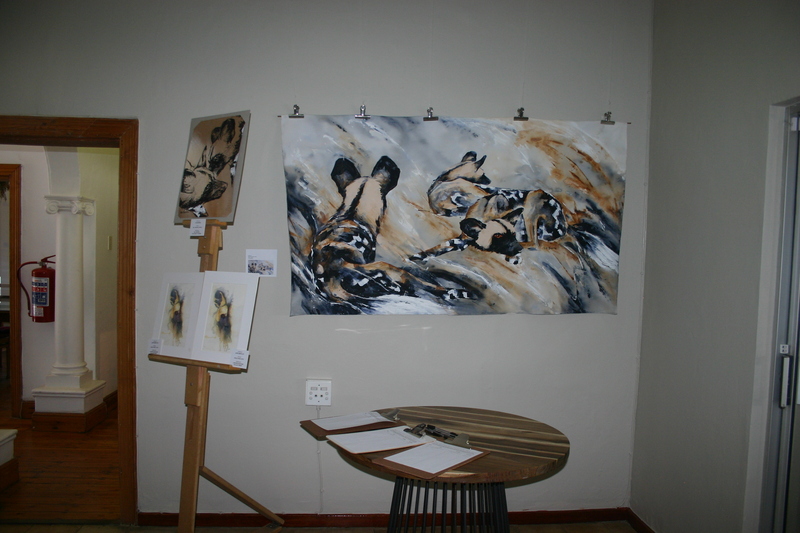 Painted Wolf Wines’ labels showcase local artists and visitors were treated to an exhibition of works by Lin Barrie, whose paintings are featured on the Pictus one and Pictus III labels. In addition, Painted wolf team member, Lori Bentley (Pictus V) had some original watercolours on display. If you feel you have missed out on all the excitement, never fear. There are more artwork by these two artist on sale in our gallery space. And wine – there is always award winning delicious juicy wine, and very often discounts too. Do pop in to 125 Main Road, Paarl for a Painted Wolf Wines experience. Keep track of the pack on facebook, twitter, Instagram or here on events page of the website.